I generally write short stories, novels and novellas because ... well, that's what I'm good at. That's what I sell. In the past I have also written plays, articles, songs and poems. The formats are all connected by a love of words. 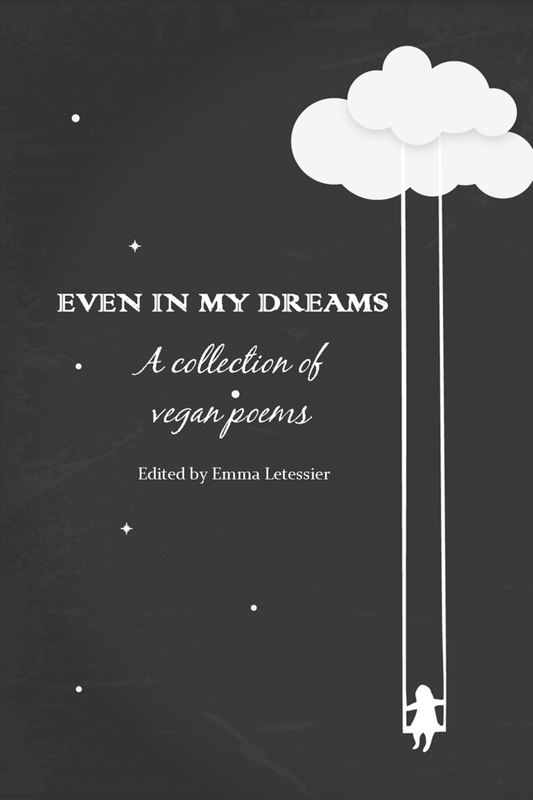 I recently contributed some of my poems to a book called Even In My Dreams, aimed at raising money for a worthwhile cause. The writers and editor all donated their time and work; none of us make any money from sales. I'm proud to say that all proceeds go to an animal sanctuary. 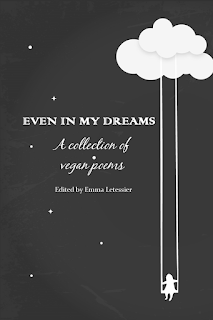 Even in My Dreams: A collection of vegan poems was released as a print book in November, and will be out in e-book format soon (I'll update this post when that happens - in the meantime, keep an eye on the book's Facebook page). It's available via Amazon, Lulu and other places. The editor also runs a magazine - find out more about that on Facebook and Twitter. Sharp throbbing from the legs upwards, hot head. Voices assured her she would be okay. I try to get nearer to the fire, among the crowd. I smell the smoke - everything smells of smoke. How cool you are, a canine insurgent. I should also do a post about being vegan one day. Some people might think veganism is "only about animals" in a kind of us-and-them attitude. Not true. Humans are animals too: Homo sapiens, Order Primates, Class Mammalia. Yes, we're mammals too. So when vegans support animal rights we are also supporting human rights; it is why so many vegans are also involved with social justice issues, fighting sexism and racism alongside speciesism. As a philosophy of respect it often goes beyond animals, ultimately to also extend protection to the planet as a whole. I went vegan over 25 years ago. Still here, still enjoy a chip butty and pint of beer, still eat chocolate like a decadent monk.